Beautiful Brunswick, GA has been considered one of the most unique, historic and visually stunning places in the world. It sits along the southeastern coastline of Georgia between Savannah and Jacksonville and it is surrounded by four gorgeous barrier islands: St. Simons Island, Sea Island, Little St. Simons Island and Jekyll Island, all of which share irresistible landscapes and tourist attractions. The beauty and grace of Brunswick continues to lure more and more residents and visitors alike to this treasured city. A stroll through downtown provides a taste of centuries gone by as the streets are lined with charming Victorian homes, grand old oak trees and preserved buildings filled with bustling businesses and prestigious schools. The city is overflowing with entertainment venues such as Art Downtown, Hofwyl-Broadfield Plantation and Brunswick Actor’s Theatre, all three of them tucked away into the Brunswick Old Town Historic District. Nestled in the heart of Glynn County, Brunswick maintains a tight knit community of families and individuals cherishing the simple splendor of their historical city. As more people begin to discover the great wonders of this southern hub, they have found the comfort of home at Aspen Square's Lanier Landing apartment rentals in Brunswick, GA, offering three bedroom townhomes and apartments that are hard to resist, a true hidden gem. 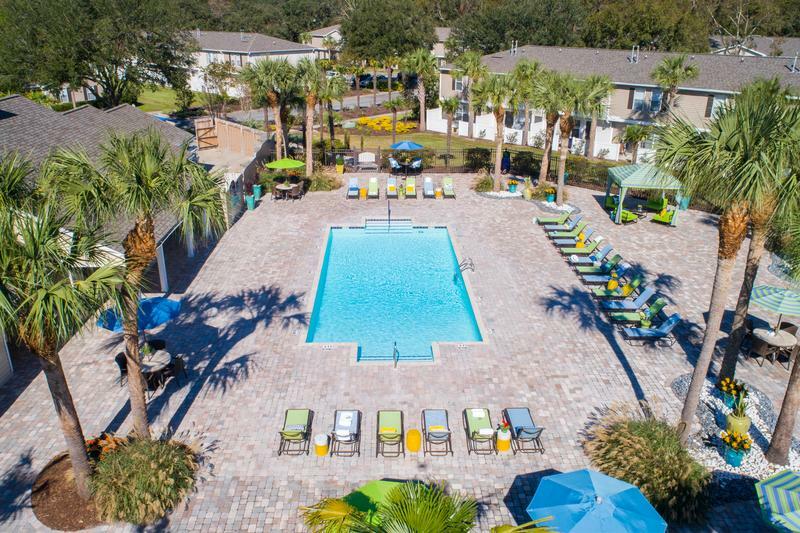 Featuring the best location in the Brunswick area, Lanier Landing Apartments near St. Simon Island is close to all the entertainment and dining, has easy access to I-95 as well as only being a five minute drive from the Sidney Lanier Bridge. These spacious Brunswick, GA apartments for rent offer two-level living with additional space in the master bedroom suites, oversized kitchen with stainless steel appliances and in-home washer and dryer appliances. Without leaving the comfort of our community, Lanier Landing residents can enjoy an active lifestyle with new amenities including a hammock and cabana area, tot lot, bark park with agility equipment, state of the art fitness center and volleyball court. Everything you need is right outside your front door! Don’t hesitate! Come see for yourself why these Brunswick apartments for rent at Lanier Landing are your gateway to resort-style living!